Display topographic maps, satellite images and road maps with cycle and hiking trails. Switch seamlessly between maps from different sources to get detailed information about a location. 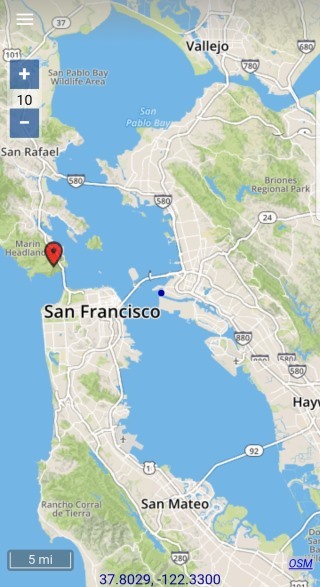 Map views are automatically stored in an offline cache on your phone, so that you can view them later without an internet connection. You can display the maps also on the smartwatch Fitbit Ionic or Fitbit Versa. But please don't expect the same maps app performance on the Fitbit as on a phone. The Fitbit is very slow and has very limited space.